If you are looking for a Christening gift for a girl with a difference, look no further. She is sure to have nothing like this! 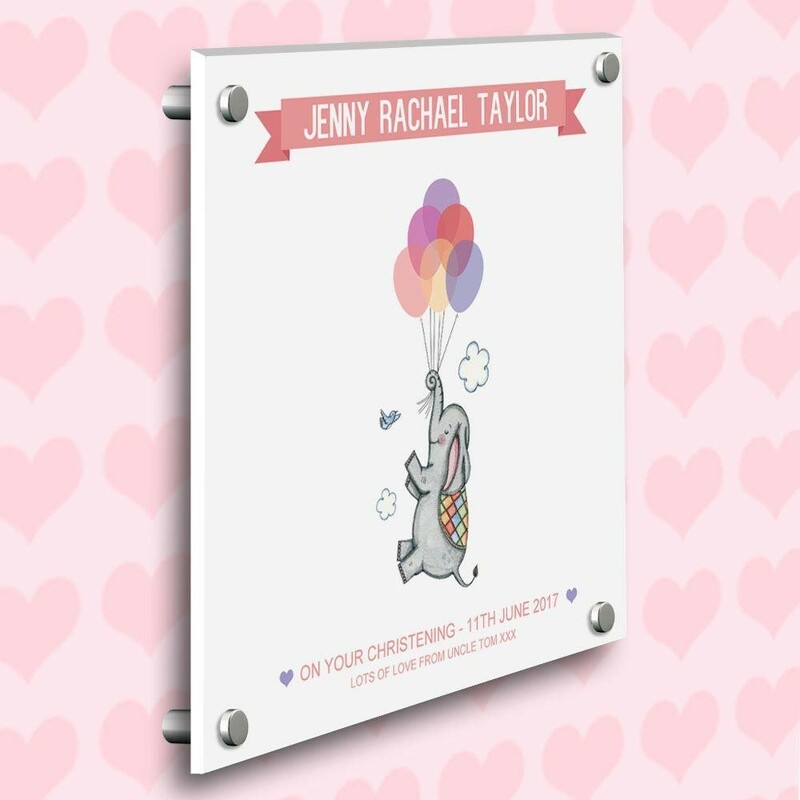 Our customised girl's Christening wall art is directly printed onto polished 5mm white perspex using state of the art UV printing technology. 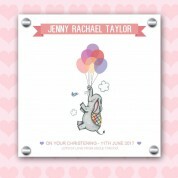 The stunning design features a hand painted elephant, specially designed by our in house artist. It has a textured 3D feel when touched. The white perspex frame gives a classy reflective shine that makes this piece of art stand out wherever it is displayed. 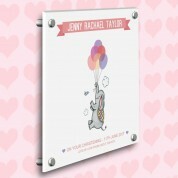 We personalise each individual print with her full name on a coral pink banner. The special Christening date, along with a short personal message is included at the bottom. 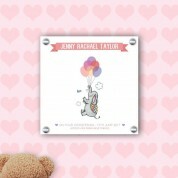 It makes a wonderful keepsake with a difference that she will love to see in her nursery.